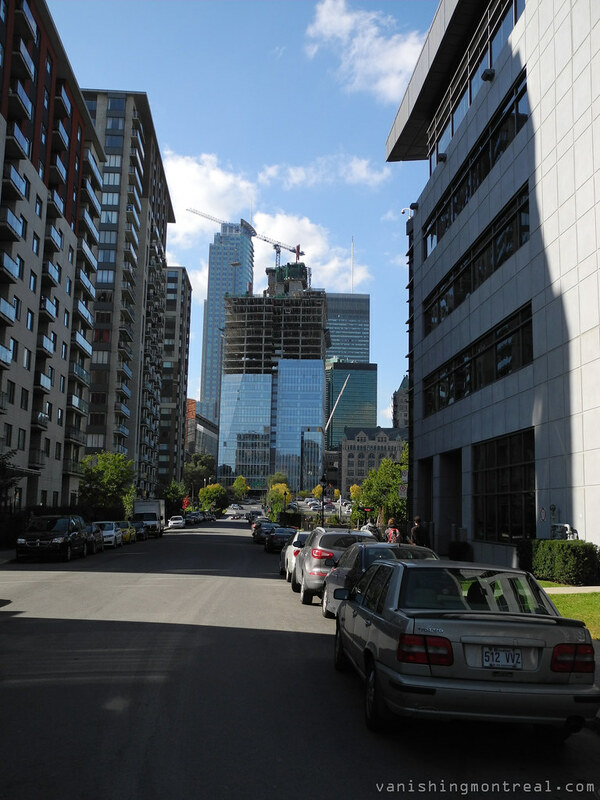 The Deloitte tower seen from Jean D'Estrees street. Nice view but there are so many glass towers being built in Montreal that I want to start another blog called 'Not another glass tower!' The IBM tower will be blotted out with all the constructions going on around it. La tour Deloitte vu à partir de la rue Jean d'Estrées. Belle vue, mais il ya tellement de tours de verre en cours de construction à Montréal que je veux commencer un autre blog intitulé 'Pas une autre tour de verre!' La tour IBM va être ensevelie avec tous les projets de constructions qui l'entoure. What is cool (and I'm sure some won't agree) is the contrast between that glass tower and the Windsor Station to the right of it.